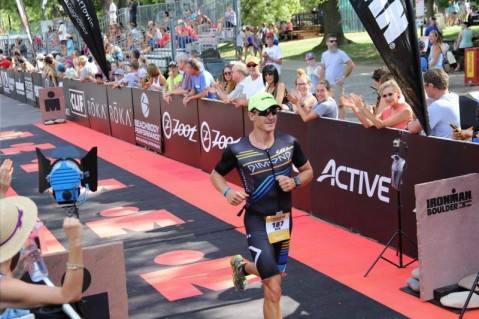 I’m calling this a “race review” rather than a “race report”, because it was the first time that this event was run, and most people who read this won’t care about how my race went, but rather things that I learned from doing this race. This is the world’s highest triathlon, starting at over 9000ft with a 1.2 mile swim in Lake Dillon, a beautiful lake just a stone’s throw away from the Keystone and Breckenridge ski areas. After the swim, it’s a tough 56 mile bike ride that starts off flat, then climbs up Montezuma Road to 10,200ft before returning to Dillon for a second lap. The run is mostly flat, on a bike path around the gorgeous lake. The race starts late (9:15am) which is AWESOME. It’s so great to not have to get up super early. How cold will the swim be? 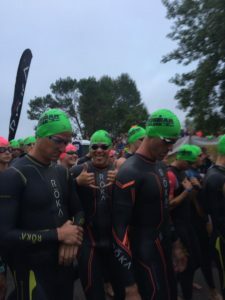 Given the high elevation, what’s a good pacing strategy for the swim? 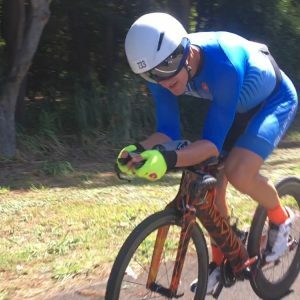 Is a road bike or tri bike better? Water temp: The water was cold. I’m guessing in the 50s (F). If you’ve done Oceanside, it was a bit colder than that. If you’ve done Couer d’Alene, it was almost as cold as that. We were allowed to wear booties and gloves but I chose not to, and I was fine. If the race was longer, I would probably wear them. I also did not wear a neoprene cap, but it probably would have been a good idea, certainly no downside in doing so. 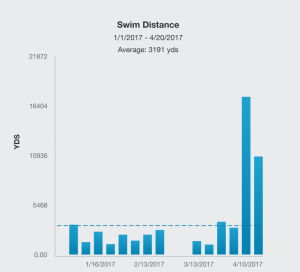 Swim Pacing: I deliberately tired to start slowly, but it was still too fast. I had watched the earlier waves come out the water, and everyone looked drunk. At the first turnaround, I experienced a strange sensation that I’ve never had before. I got very dizzy and felt like I was going to black out. At that point I was in the front pack in the wave, about 100 meters in front of the main pack, so I just stopped, then did breaststroke for a while until I felt better. I started swimming again, but much slower than before. It’s a 2-lap swim, and at the end of the first lap the main pack had caught an overtaken me. I just let them go, mainly because I didn’t feel like dying that day. 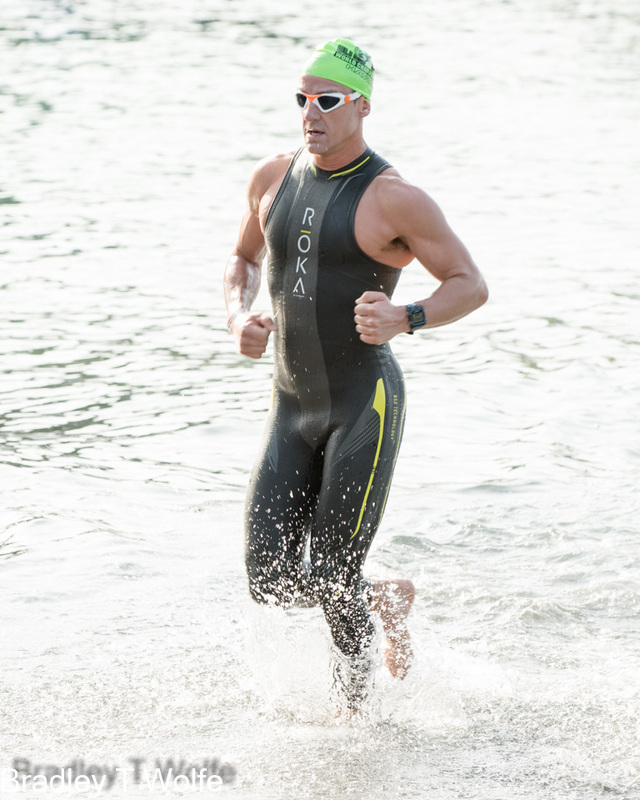 By the end of the swim, my main thought was how happy I was that it was not an Ironman. Road vs Tri bike: I brought both bikes with me, but I did not pre-ride the course. Basically, the course is flat and rolling up until Keystone. Then you climb and descend Montezuma Rd. 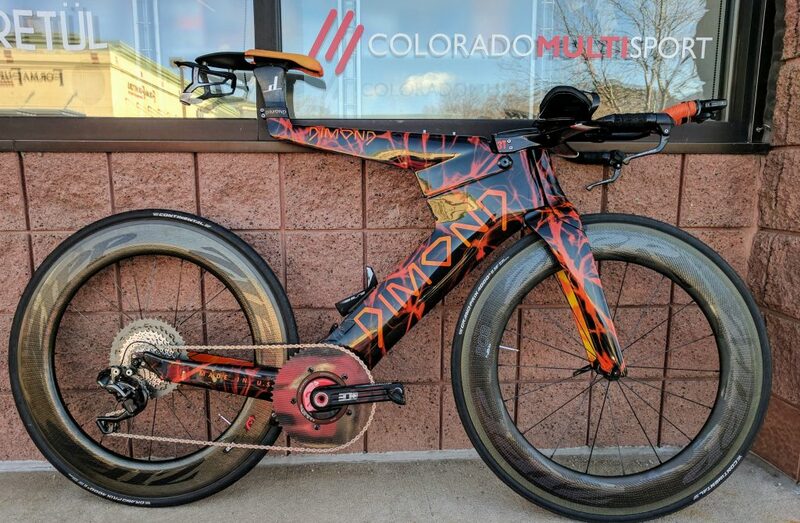 I ended up choosing a tri bike, and I was fine on that. If you’re a terrible bike handler you may wish to choose a road bike. I don’t think a road bike would’ve been much slower for me. 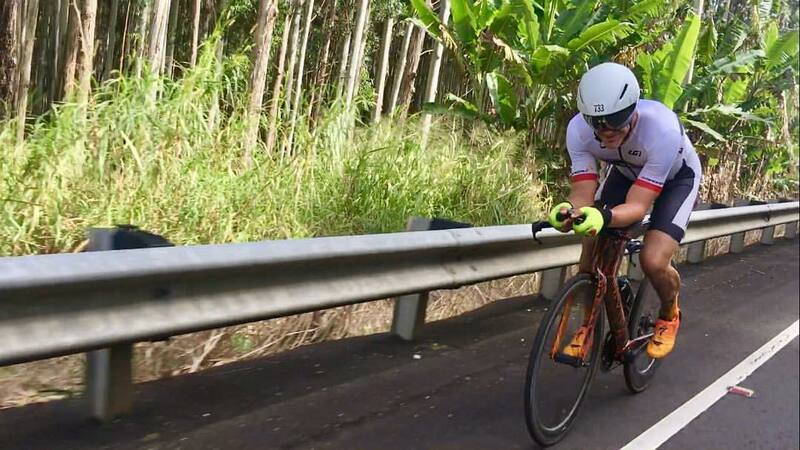 The main thought was that the road bike might enable me to descend faster, but I did test the descent the following day on my road bike and it was slower than my tri bike. Here is a video I shot of the descent. You can see it starts a bit technical, and the road surface is not great. But nothing super bad. The one amazing thing about this race was the road closure. We had 3 lanes for the bike, 2 full lanes and a shoulder, plus an empty lane between bikes and cars. And Montezuma was 100% closed to traffic. So probably the safest bike course I’ve ever raced on. Pacing wise, I couldn’t ride very hard. To my legs it felt easier than Ironman effort. My power meter wasn’t working so I don’t know for sure, but based on feel it was easier than IM and I would estimate I rode around 220 watts (Ironman I ride about 240, half ironman usually about 260). Every time I rode harder than that, I’d feel a bit dizzy and disoriented (presumably the altitude). But it was a fun course and a pleasure to ride. On the run, I had another weird sensation. Every time I ran faster than 8:00 / mile I would be super out of breath. In comparison, I’d have to run close to 6:00 / mile at sea level to be breathing the same way. It’s weird because your legs are ok, your breathing is just crazy. But I just slowed down and enjoyed the run – it’s so beautiful and what a pleasure to be able to run with that scenery! Well, it probably wasn’t a good idea to spend the week before at sea level in Mexico at an all-inclusive resort! We were very lucky with the weather. I would have been totally unprepared if it was cold. I had no gloves or jacket. I would definitely pack winter gloves and an extra warm top, and if it was cold I’d change into that in T1. I’d also pack a warm skullcap to wear under my helmet. At a minimum, these warm clothes and gloves would be nice to have in the morning before the race, even if the weather is good. Will I be back next year? Of course if the schedule allows! What a great race and superbly organized. 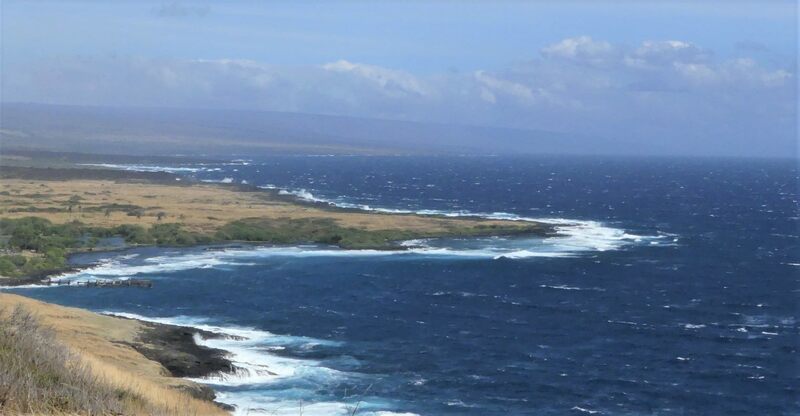 But if you’re coming from sea level, be prepared to dial back your effort and enjoy the day! I have to say, it’s pretty awesome doing a race in your home town. I get to train on every part of the course whenever I like, I can sleep in my own bed and eat my own food. There is no bike transport, and everything is easy to get ready. On top of that, I know many of the volunteers, supporters and other athletes. So it’s a lot of fun and not much stress at all! Since I had already turned down a Kona slot at IMAZ, and I wasn’t planning on taking one here either (although I did think about it), my main goal of the race was to have a big training day, and go sub 9 hours. I was also going to ride the bike pretty hard, as to make the run a bit harder. Using bestbikesplit.com I calculated that something in the region of 4:25 would be achievable on around 250 watts. 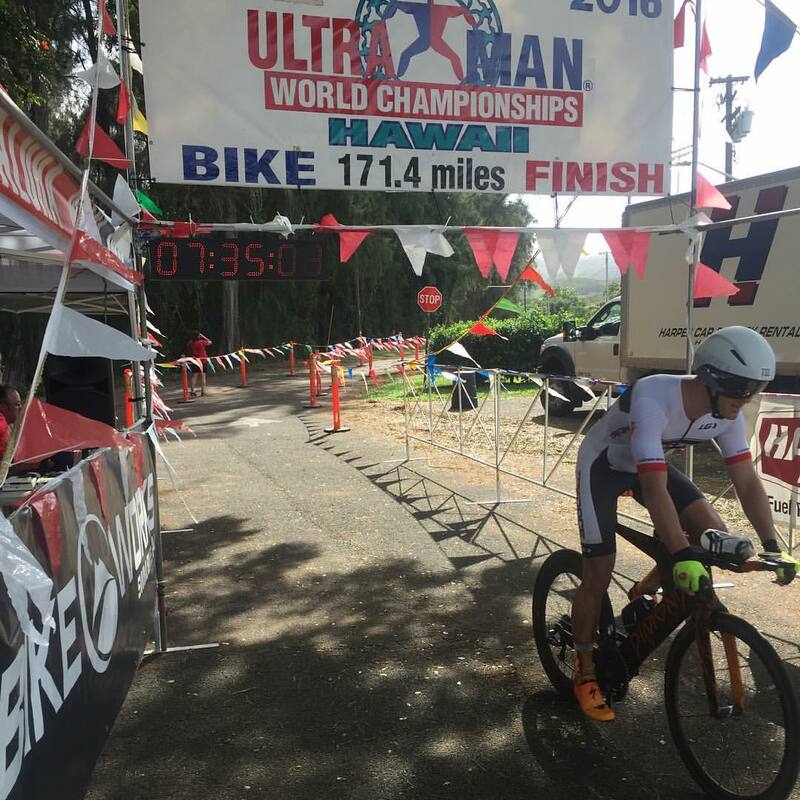 This was close to the bike course record, so I had that in the back of my mind as a goal. I programmed the course into my Garmin so that it would give me the ETA while I was racing, to see if I was on target for the time goal. My day started very early. Despite living less than 3 miles from the start, it was mandatory for all athletes to take a shuttle from Boulder High School. So I had to get a taxi 8 miles to get to the shuttles, then get a shuttle all the way back to the swim start. I woke up at 3am, had 3 scoops of UCAN plus a serving of Isopure Colombian coffee whey protein. I had a small amount of oatmeal but I had zero appetite so couldn’t get much down. The zTrip (taxi) arrived at 3:45am, a seemingly cool Rastafarian driver chilling to the beats of Bob Marley as we set off towards downtown. However, not all was as it seemed. This guy kept on randomly swerving his car, accelerating and decelerating, and braking, despite us being the only vehicle on the road. Soon we came up on two yellow school busses that were side-by-side… fortunately for us a 12 foot gap opened up in between them, which coincidentally was exactly the length of the taxi, so no problem we squeezed through! I wondered if I’d actually make it to the start line in one piece… then lucky for me the road was blocked so I could get out and walk the 2 blocks to the High School. I first put my frozen bottle in my run bag, then dropped off my special needs run bag before getting into the school bus. 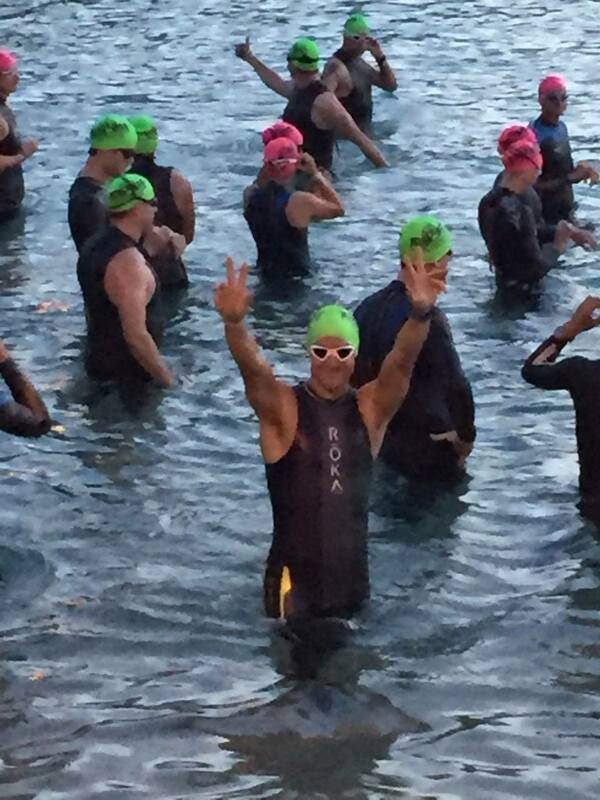 It was a short ride to the swim start, and I arrived around 4:45am. There was plenty of time to pump tires, set up nutrition and then chill out before the start. 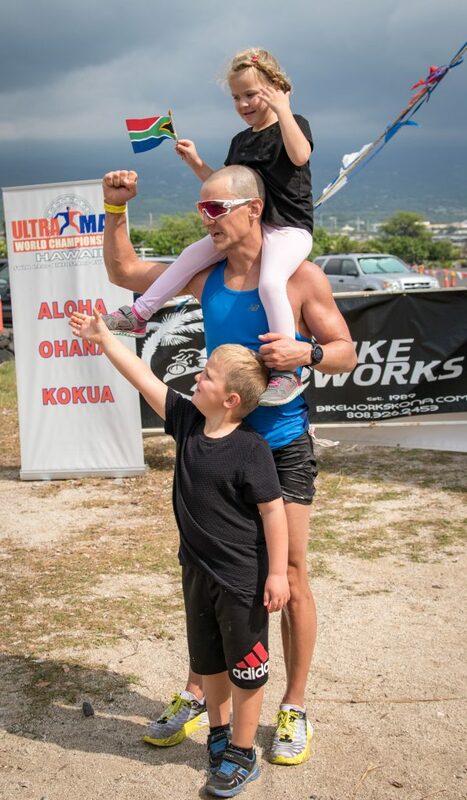 I hung out with Chris Blick (ex Dimond now Roka) until the start, and it was cool to see my athlete Amy Craft who was also using this race as an Ultraman training day. Her husband John was already practicing his crewing duties, with a backpack full of water, gatorade and athletic-friendly snacks. He even gave me a bottle of water which saved me a long walk over to the athlete water area (thanks John!). 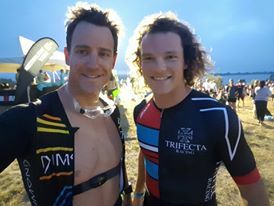 Chris and I headed over to the swim start at about 6am, and quickly dipped in the res to get some water in the wetsuits. Then we just hung out until the start. 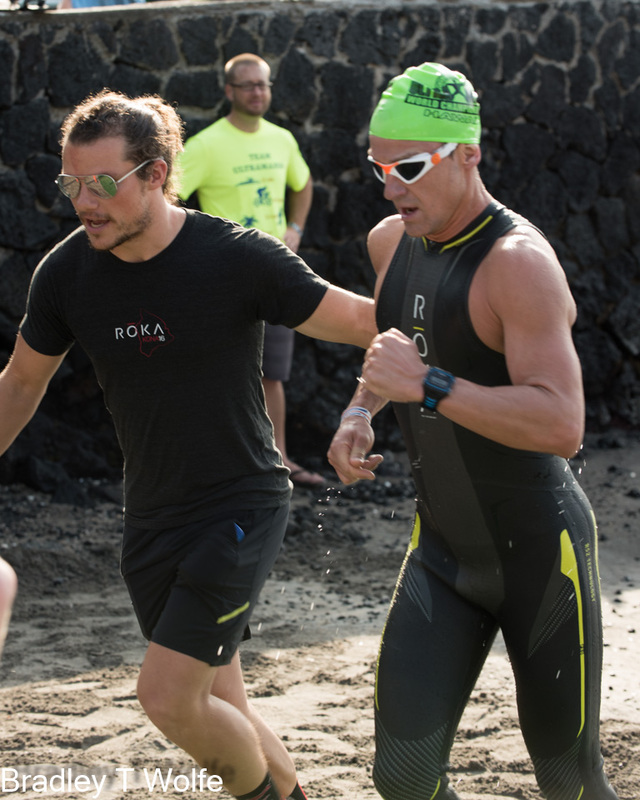 I saw Conrad Rodas a few minutes before the start – I let him go right to the front since I knew even with an all-out effort he’d be too fast for me. 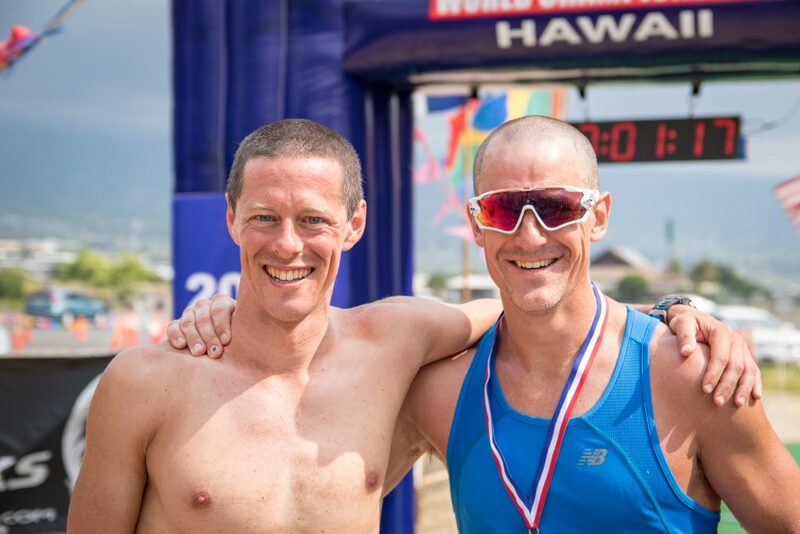 I also saw a guy that beat me in the previous weekend’s Bare Bones 3 mile swim (Andy Freeman), but I knew I could swim with him so I stood just behind him. At 6:20 the cannon sounded and we were off. I started a few rows back to let the really fast guys go. Since we hadn’t warmed up I started as easy as I could, just to try and settle into it on Andy’s feet. 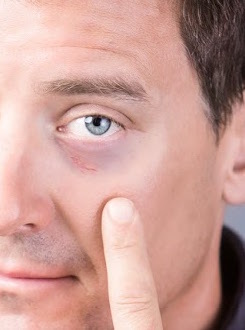 For the most part I had very little contact, but a few hundred meters in, Andy stopped suddenly (presumably google malfunction), then gave a huge breaststroke kick right into my face with his heel – I got a nice shiner to show for that one! 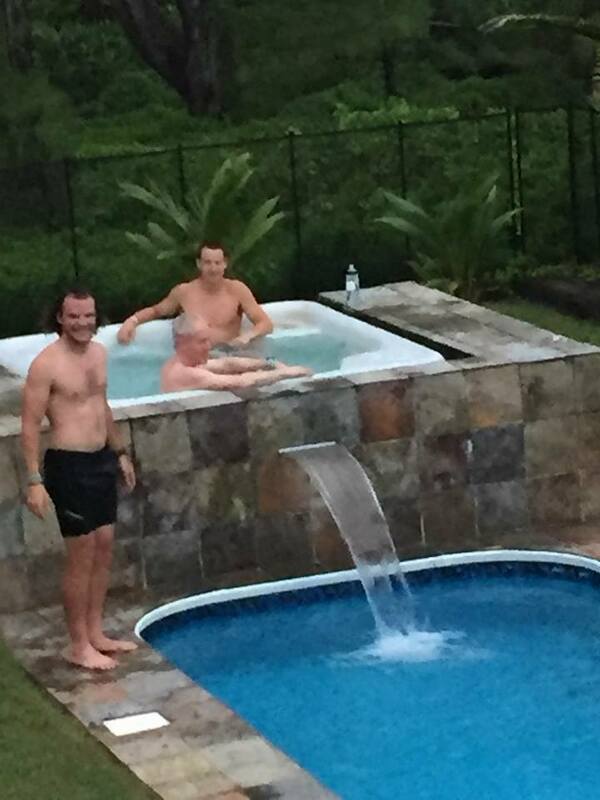 The rest of the swim was pretty relaxed. I lost Andy but had feet to draft off for about 75% of the way. I did zig-zag a bit which always seems the case in this lake. A few times I felt that I was swimming way too easy, so I would start swimming really hard. However I was not gaining much ground over the people around me when I did that, so in the end I just settled back into the easy pace until the end. I exited the water just over an hour, in 41st place overall, which was slightly faster than expected. I ran up the ramp and found my neighbor Lara Edwards (Billy’s wife) who was volunteering as a wetsuit stripper. She made me lie on the grass and they had the wetsuit off in no time at all. I picked up my transition bag, which only had my helmet inside, and ran through the change tent, only stopping to give the volunteers my wetsuit and goggles. I put on my helmet and then put my sleeves on while I was running to the bike (I swim with the sleeves rolled down, even with the wetsuit swim). I got to the bike, ran up the hill to the mount line and then started my favorite part of the day! The first 20 miles of the bike course is a rolling/hilly section that goes past my house. First, there is an out-and-back section along hwy 119, which allowed me to see the leaders coming in the opposite direction. I did a quick time check when I passed the same place and was about 10 minutes back. 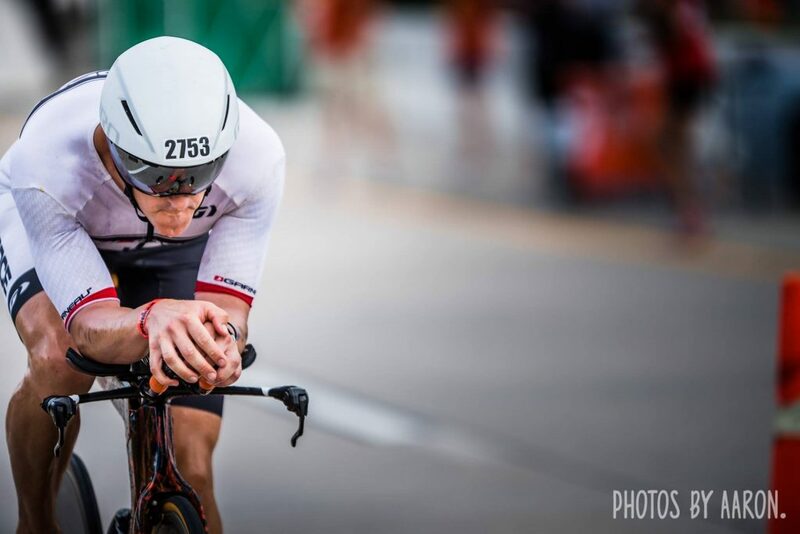 Conrad and I had spoken before the race, and based on our assumptions that he would be 10 minutes ahead, and the difference in our planned bike power, we estimated that I’d catch him at around the time that we started lap 2. So I was on track at this point. A part of my pacing strategy was to avoid the temptation to ride the hills hard, and just keep my power around 250 watts. I was feeling really good, so I went a little over this, ending up around 265 watts but it didn’t feel like I was working too hard. I did, however, work hard a few times dropping a Colombian guy named Felipe. Anyway, so I burned some matches riding away from Felipe, and soon he was out of sight. 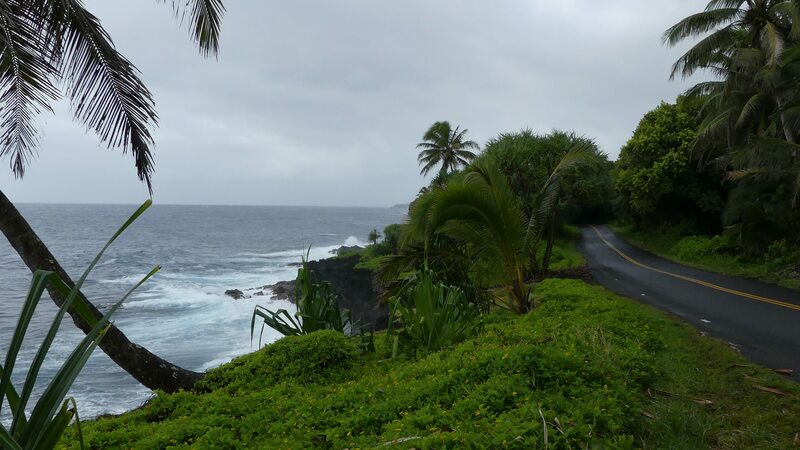 This section ends with a fast descent down Lookout road with a sharp left turn into 75th. I saw my friend Adam Hecht on the corner who was doing a superb job of cheering! Next I saw Billy Edwards wearing a clown wig, who told me I was now in 11th place, 9 minutes back. A few hundred feet later I saw Michelle and the kids – she somehow managed to take a few photos, give me a split, and cheer at the same time! Now that I knew how far back I was, I could count off the number of people I passed. Between this point and mile 46, I worked my way up to 6th place. Having said that, I was obviously “in the zone” since I actually passed Conrad without realizing it. I must have counted him in my head, but been oblivious that it was him I was passing. As I turned onto hwy 66, I did a time check with the ETA on my Garmin. It had me arriving at 11:51am, which was pretty much on track for my plan. I could see a rider in the distance ahead of me (which I think was eventual winner Clay Emge). My power up to this point was on track, 259 watts, but I was feeling really good so I upped it a bit and focused on the chase. This is me still feeling good. About to overtake Conrad but so focused I didn’t see him. About a mile down the road, I felt the dreaded thump, thump, thump of my rear wheel… UGH – a flat tire. I jumped off the bike and initiated Plan A, which was my latex canister. I always use one in training so that I’m familiar with how it works and how well it works. Usually, it take 30-45 seconds to fix a flat using this method. It all started well, and the tire inflated. But as soon as I took the tube of the canister off, the foam started spewing out of the valve. It went all over the wheel and there was nothing I could do to stop it. Plan B… let’s change the tube. All good and well, except that the tire was now so slimy from the foam that I couldn’t get it off. I tried for several minutes but to no avail. Fortunately, the race neutral support guys arrived soon after this. They helped me change the tube, but alas it would not inflate (another valve issue). He had another tube in the vehicle, so we tried that one, and third time lucky, it worked). 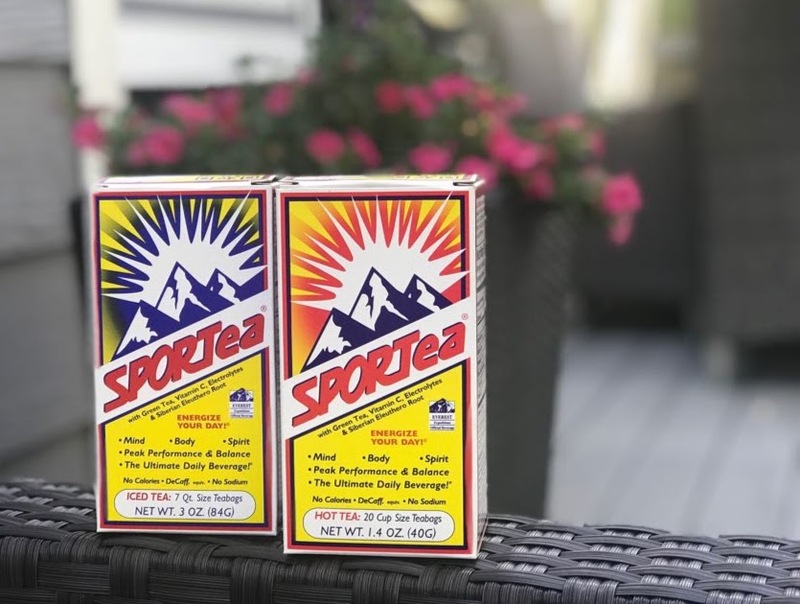 While I was standing there watching everyone pass me again (Conrad Rodas, Bob McRae, Steve Johnson, Frikkin Felipe and more than 10 others), I thought it would be a good idea to take advantage of the break and drink some of my nutrition. 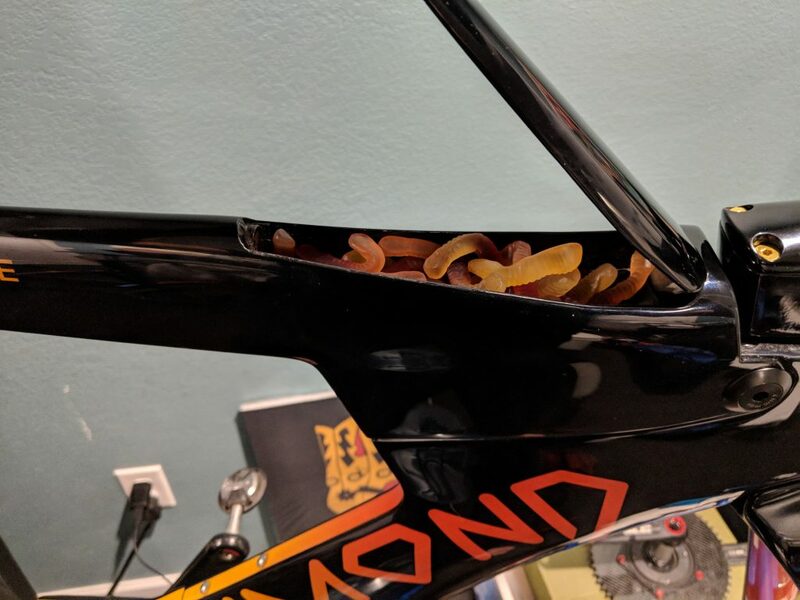 This sounds like a smart thing to do, but really it wasn’t, because I was already 100% on top of my fueling before the flat happened, and I was already pretty much at the max. All in all I was on the side of the road for 15 minutes, and when I got back on the bike I felt terrible. Firstly, my legs were now cold and stiff. No problem – I could just ride easy for a few minutes until it came back. Secondly, I now felt bloated and sick, probably because I was just eating stuff for 15 minutes without being too conscious of how much I was having. 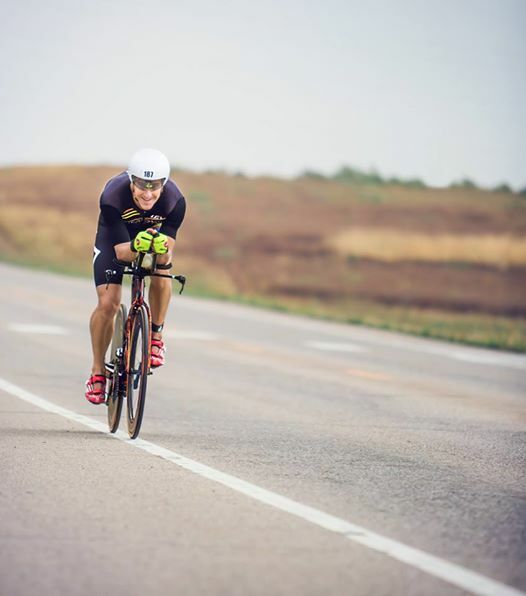 My power was just not there – I was now struggling to hit 210 watts – and even at that power I didn’t feel good at all. Also, my bike time goal was now obviously out of the window, and I really didn’t feel like chasing those guys down all over again. So mentally I started to try and figure out some new goals. 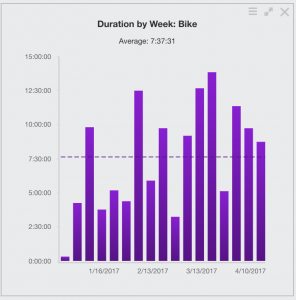 I figured that since I was riding easy now, I may as well use the time left to solve my GI issues and save my legs for the run. For the next 90 minutes I pretty much just drank water, and eventually my stomach cramps disappeared. 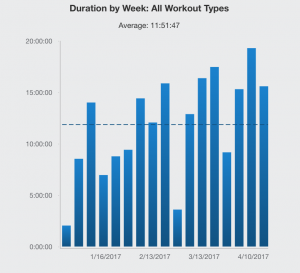 I started taking in fuel gradually, and then felt better and better towards the end. Mentally I still felt despondent about the bike. I was coming in around 4:55, over 30 minutes slower than expected. Still, I was arriving at about 12:20, so with a decent 3:15 run I could still go under 9:20. I was also feeling very happy that my stomach was now all good again. I dismounted the bike and then started the very long run into T2, on the Boulder High School athletic track. I handed off the bike, grabbed my run bag and made my way to the change tent. Clown-haired Billy Edwards was easy to spot, waiting with Brandon Watson to take my bag and get my stuff ready. These guys were awesome! It felt like I sat down for about 15 seconds and they had me ready to go. I started the run and immediately felt great. I always try and run by feel (EASY) for the first few minutes and then look at my Garmin to check the pace. My goal was to start at 8 min/mile (3:30 marathon) and then speed up if I felt good later on. 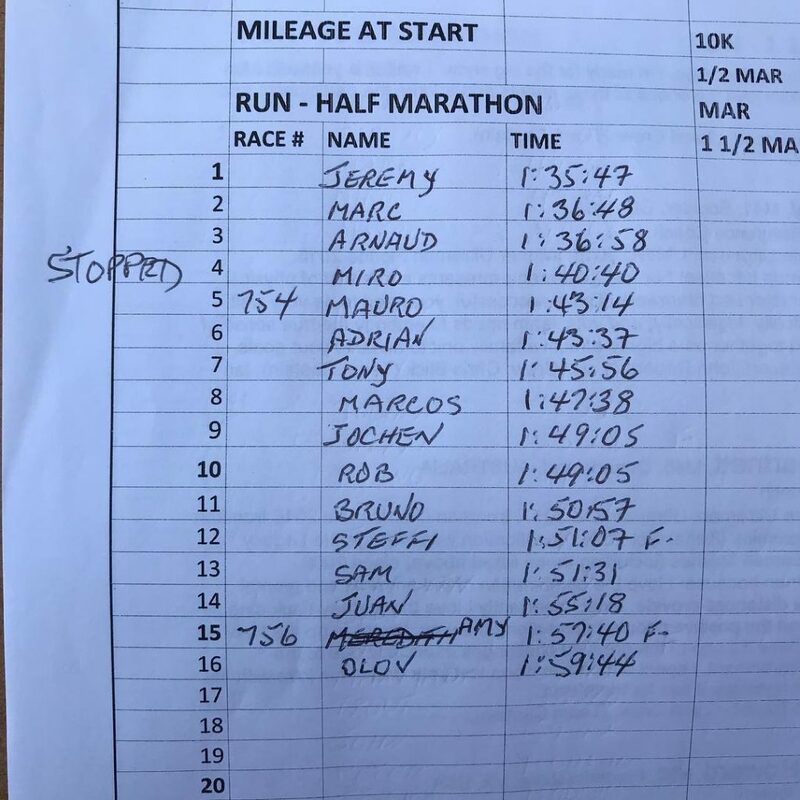 I was a bit shocked when I looked down – pace was reading 6:52 per mile which is way too fast (that’s a 3 hour marathon). I tried to slow down as much as comfortably possible, but still was hitting just over 7 min/mile. Just before mile 2 I stopped to use the porta potty, so including that stop I was back on goal pace (2nd mile 8:15). The next few miles I was in the low 7’s but I felt good so I just kept going. I went through 10k in about 45 minutes, which was a little faster than I would have liked, but I still felt good. 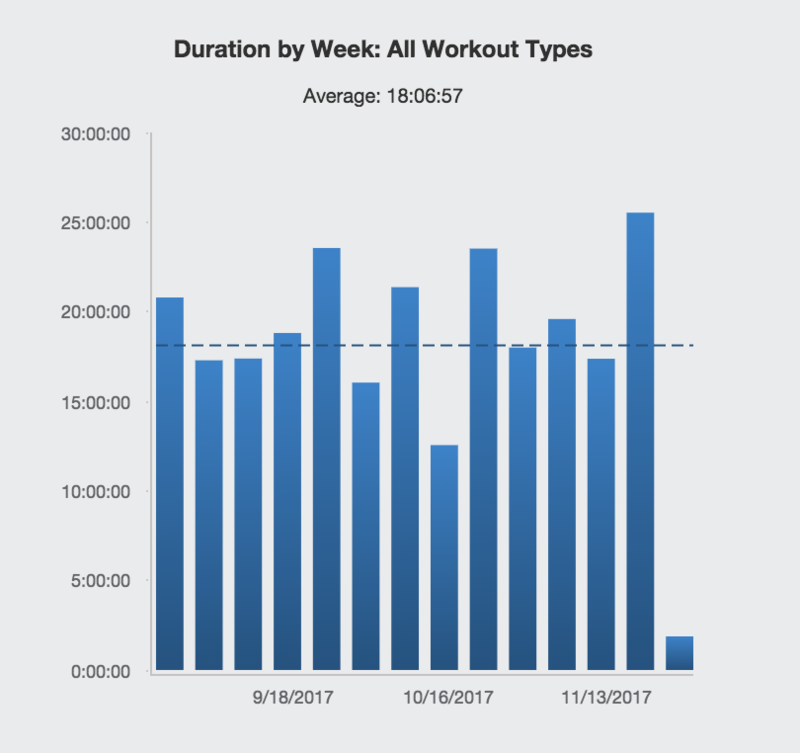 Over the last few months I’ve been struggling to get my run speed back, so overall this speed represented a good training breakthrough for me. I was also on track with calories – one can of mountain dew and 6 Glukos energy tabs, for about 250 calories. Then suddenly at around mile 8, I couldn’t take anything more in. Even water was tough to take down. I had some Mexican coke waiting in special needs at mile 10, which I managed to get down. But after that, everything was a struggle. I ran with Conrad for a while, which helped a lot – it was fun to run with someone and shoot the breeze a bit. I got progressively slower as the run went on. I was happy to see Michelle around mile 15. I walked with her a bit and it was great to have a conversation in the middle of this run. I saw John Craft after that, but he had changed clothes since I saw him that morning, and I was a bit out of it, so I couldn’t figure out who it was until he said “Rob! It’s me, John!”… that should probably have been a sign that I was not quite “with it”! Around that time, I came across a woman (#632) lying on the ground, convulsing and throwing up. I stopped to help her and see if she was ok. She was totally out of it, asking me what she should do. I told her to try and throw up as much as possible, get some water, and walk it out. I stayed with her until the medic came and then continued my run. She was only at about mile 4, so I thought there was no way she was going to finish. But I’d later see her crossing the line in the race day video – anything is possible! After mile 16, I started walking the aid stations, and my walks got longer and longer. I wasn’t even looking at my Garmin any more, I was just running the pace that I could run. Michelle rode next to me on a bike for a bit – it was really good to have a bit of company out there. I saw Amy Craft a few times on the run, going the opposite direction – she was looking strong which made me feel better too. She is going to nail that Ultraman run! The last 6 miles was painful. Literally every step hurt. 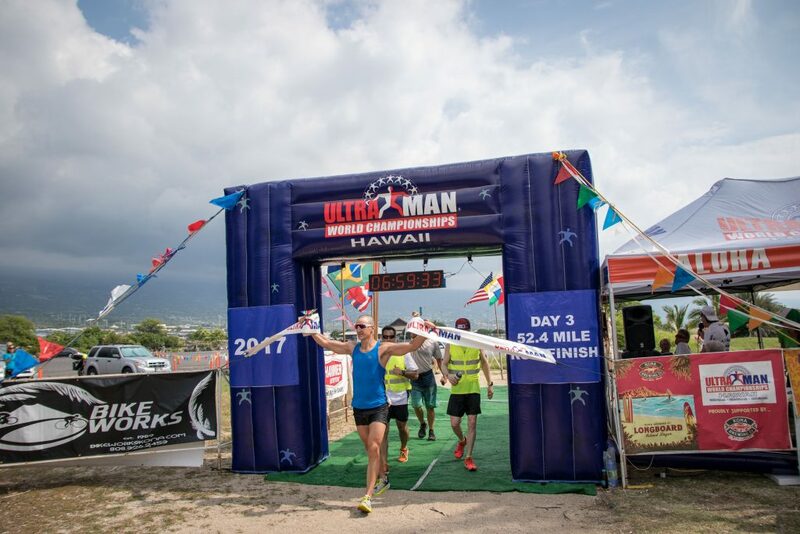 I’ve never had that in any race before (even the Ultraman 52 mile run was not this painful), and this is the first race where I’ve had to walk downhill just because my quads hurt that bad! 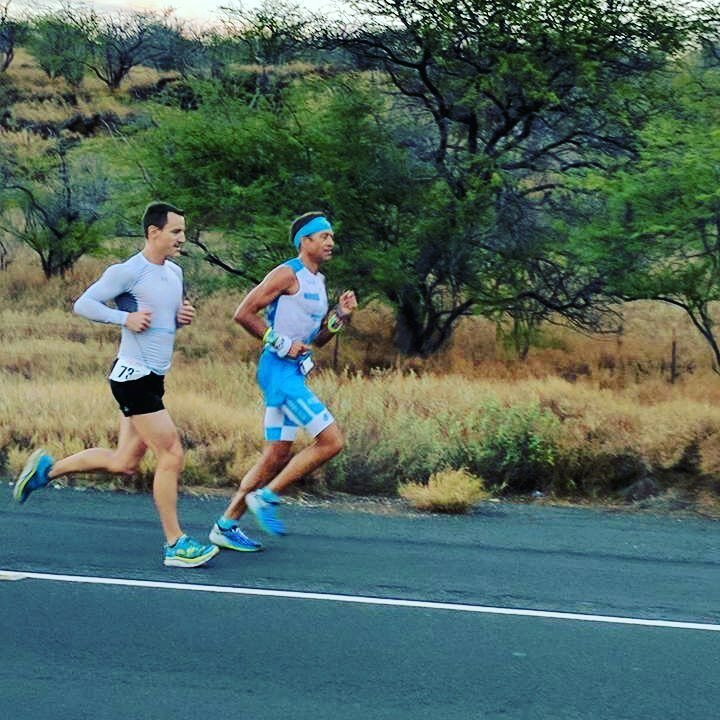 I saw Adam Hecht again with 5k to go – not only was he cheering for me, but he made all the other spectators around him cheer for me as well… that’s another great thing about a hometown race – so much local support! I never thought those last 3 miles would end, but eventually they did. Michelle, Adam, and my teammate Bob McRae were all at the finish line. 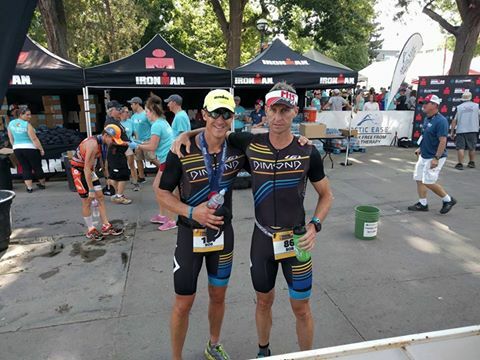 Bob had an amazing race with an age group win and a superb time of 9:12. 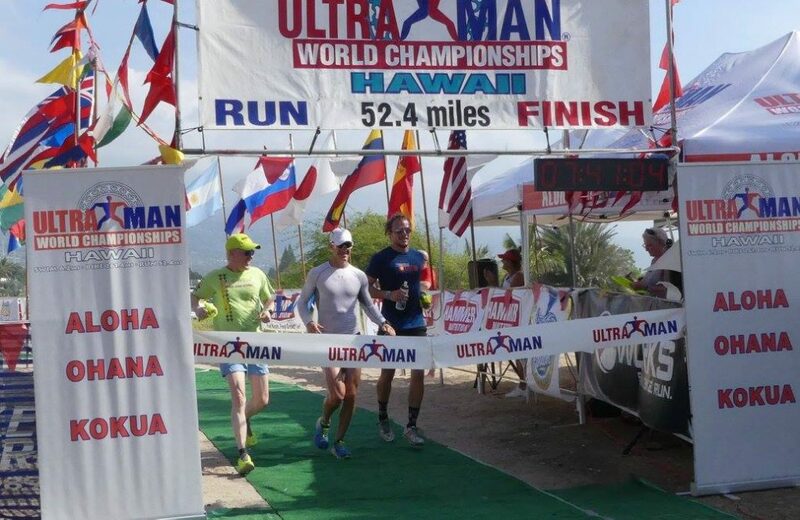 So, it may have not been the race I wanted, but it was a great training day that kicks off my Ultraman Hawaii build. 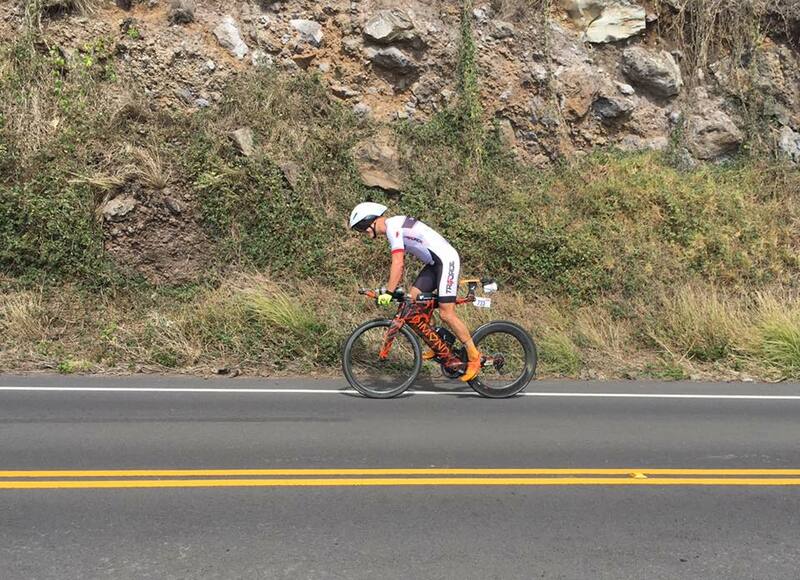 I had a great swim, my bike performance was great (until it wasn’t) and I have some run pace back. As with all bad races, I like to take away some learnings. 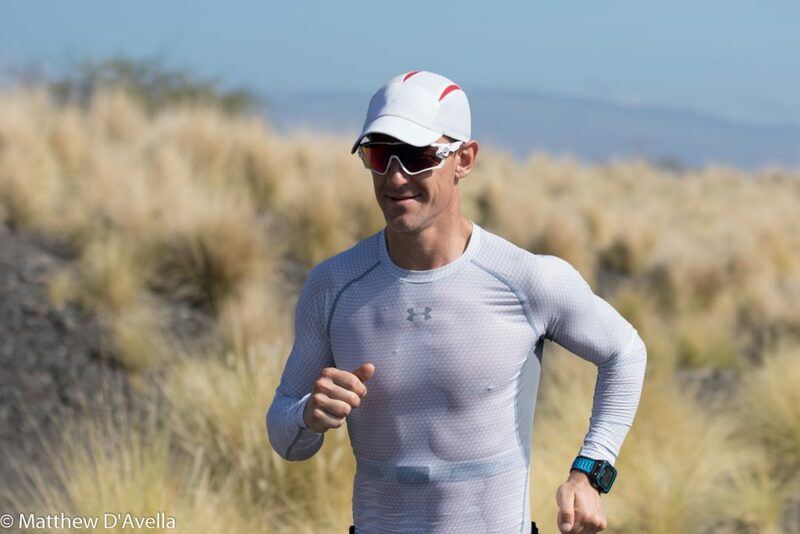 The 2 main learning for me are 1) don’t take in too much nutrition if you’re standing around for 15 minutes 2) I need to come up with a simpler run nutrition plan for Ironman racing. Overall, I loved this event and I hope to do it again in 2017! On Friday night I slept very well, got up early, ready to ride the “beater” mtb to the start (15-20 min ride). Then Michelle got up and said “I’ll just wake up the kids and drive you there”. Awesome – that will make things easier! So we drove off, got about 2 miles from the rez, and traffic came to a complete stand still. Ok no problem I still have an hour before the start. The traffic was slow, but I managed to scrape through and get into transition 15 mins before it closed (but an hour later than if I’d just ridden the mtb there. I quickly filled the torpedo bottle, pumped my tires and exited transition by 7:10. 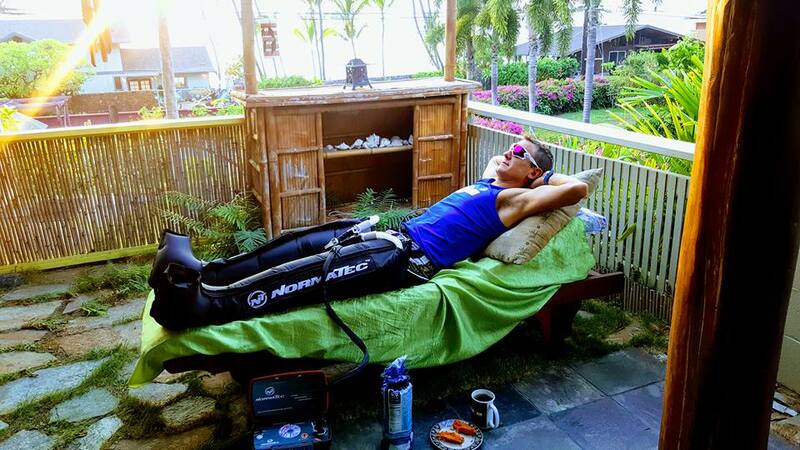 My wave was starting at 7:30 so I still had enough time (so I thought) to get the wetsuit on and relax a bit. I pulled on my wetsuit bottoms but left the top unzipped while I drank some water and sat on the grass. The pro women went off, then I heard the announcer say “last call for men 40-44 orange caps”… it was only 7:20 so I thought it was strange that they were making a last call 10 minutes before my wave. Then I looked and saw all these guys in orange caps waiting in the water already. “Orange caps 1 minute to go”… oh crap. And here I am standing on the beach trying to zip my wetsuit up… I run down the beach to the start, while zipping my suit up. Dammit I need to switch my garmin on… it comes up and I haven’t saved yesterday’s bike workout. dammit dammit. I save/delete/whatever that ride and get it into open water mode (still running to the water’s edge). As I get it into open water swim mode, the gun goes off. I see Michelle and the kids on the side and wave hello before diving into the water, while pushing start on my garmin. I don’t want to lose any valuable data! I’m literally the very last athlete to enter the water, but oddly this doesn’t phase me at all. 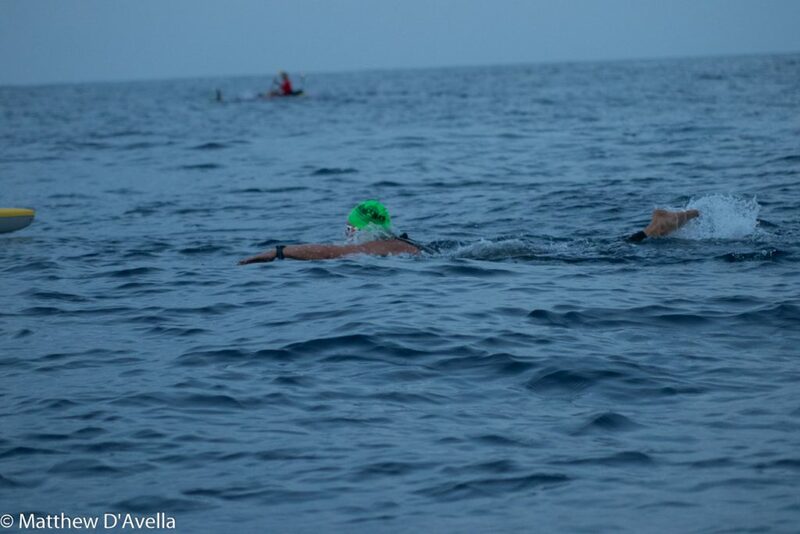 I settle into a strong rhythm and swim all the way through my wave, with the exception of a few guys at the front who I just couldn’t catch up to. 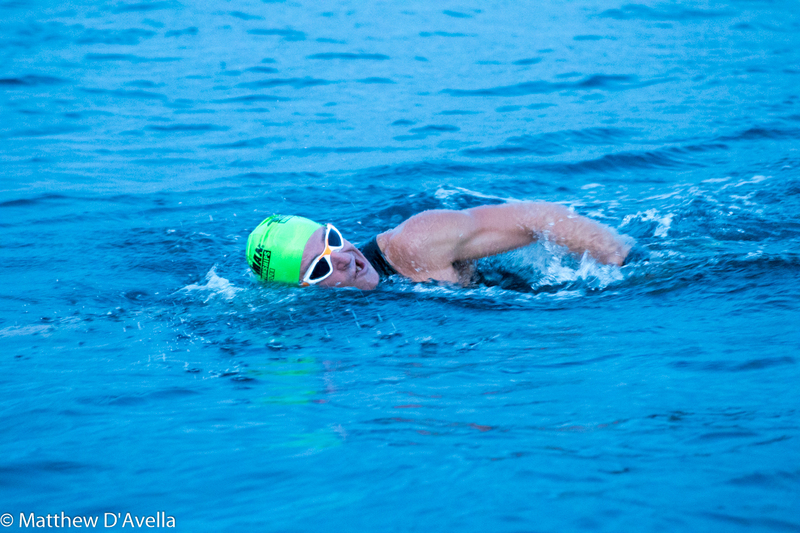 About half way through the swim, I started overtaking some female pros. By the end I would have overtaken 5 female pros, so I knew I was at least not swimming that badly. The odd thing about those pro women is that they seem to be severely lacking in tactical skills. I was swimming faster than them, but not by much. I would have been an ideal drafting target for them, but none of them got on my feet. It would have been legal for them to do that, and they probably would have cut a few minutes off their time, but they pretty much just ignored me as I swam past them. For the last few hundred meters, I couldn’t see any other swimmers close by, so I just settled in and pushed hard to the end. I had planned on taking off my wetsuit in the water (because it’s easier) but when I tried to take it off, I had a near wardrobe malfunction when my LG bike suit came off with it. Fortunately I had the presence of mind to notice that was happening, so I quickly put the bottom half back again! 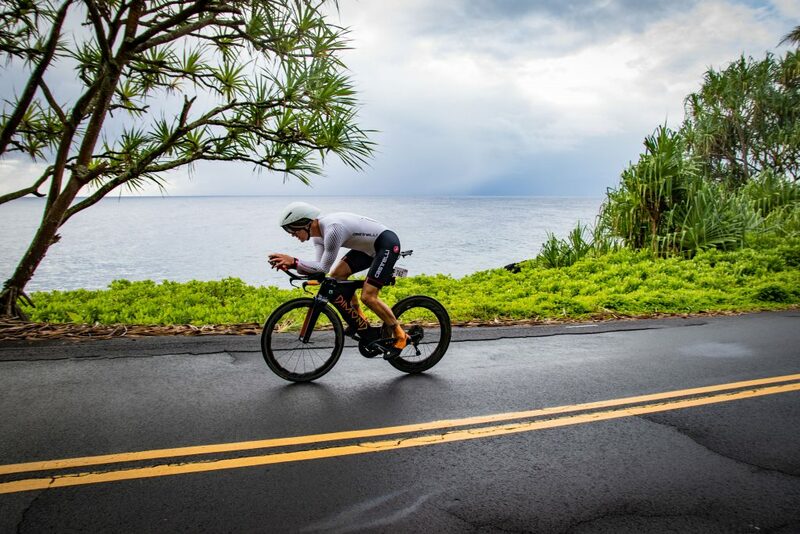 It was a long run to transition, and I used the time to put my sleeves on (I swim with the sleeves of the LG bike suit rolled around my waist). I was encouraged to see transition pretty much full, so I knew I was in a good position. I jumped on the bike and settled into a steady pace for the first few miles (242w for the first 3.5 miles). I overtook another 2 female pros before the 3 mile turnaround, and then once off the pedestrian path I hit the hammer a bit since I was now warmed up. Diagonal hwy, Jay, 36 up to Neva rd was 276w. After that, I was pretty much alone until I hit another group of female pros around mile 30. Neva/63 to Nelson was just a steady cruise at 260w. I started the Nelson road climb (about 4.5 miles) expecting to hit some higher power on the climb, but for whatever reason the power didn’t increase much on the hill – I averaged 277w even though I was targeting around 315w. After that I was back on the flats and the power came back again. My power up to the end dropped down to 260w but I was now riding by feel, just going for a solid tempo effort. After turning from 66 onto 75th, my brain was obviously cloudy because I was confused as to what road I was on. And this is a road I ride several times every week! I was still alone and had not seen another age grouper yet. 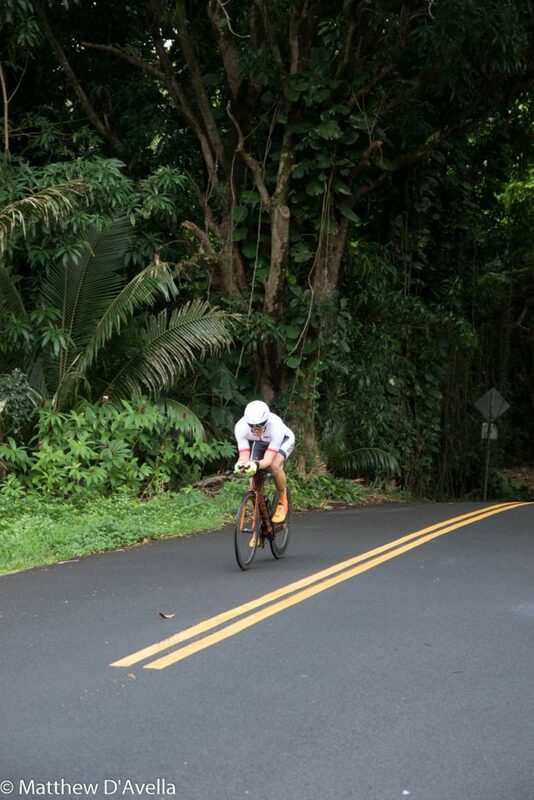 I had no idea what place I was in, but I knew there was at least one guy in my wave ahead of me on the swim, and I had not yet seen another age grouper on the bike. I turned into T2 with my best every half iron bike split (2:06) which I was super happy with (note it was only 54 miles not 56). 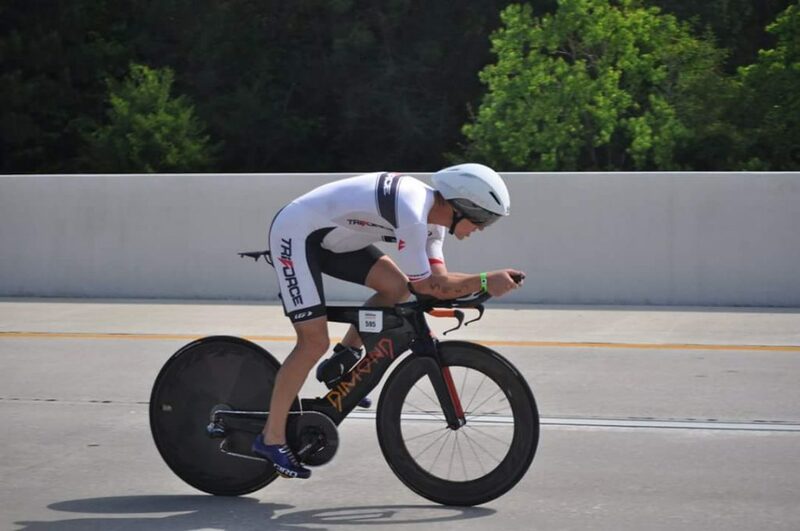 As I wheeled my bike around the corner I saw 2 bikes already racked – one which I recognized as Steve Johnson’s bike (who by the way biked 2:05, also on his Dimond). I knew there was no way I’d outrun Steve, so I started off the run hoping to just protect 3rd place. 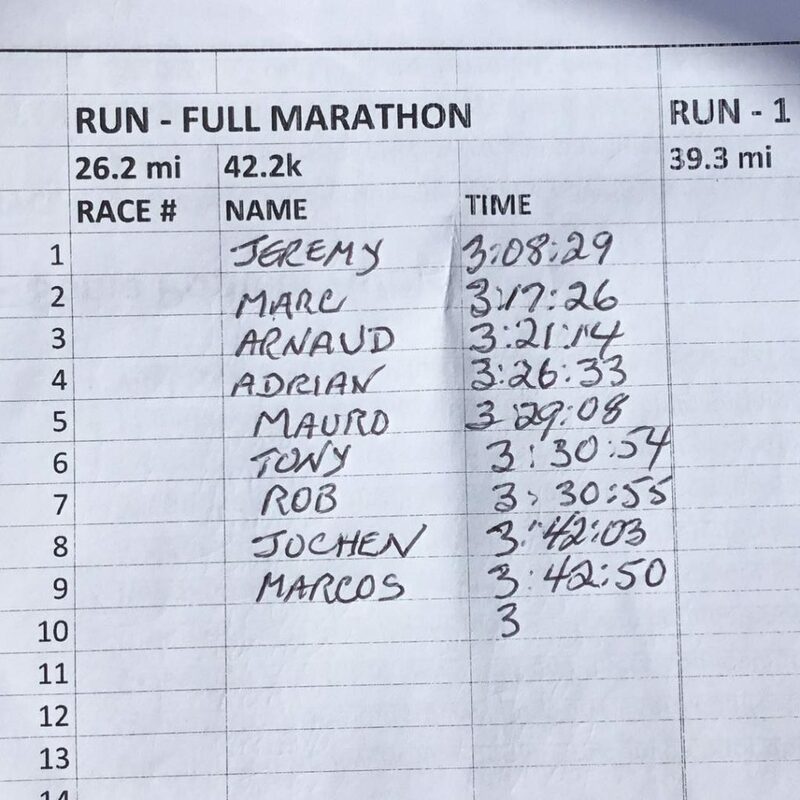 I settled into a comfy pace of 6:50 per mile, which I thought would be fast enough to hold off 4th place, especially since I didn’t think anyone behind me would be that close on the bike. A big mistake I made here was not taking my bottle of nutrition on the run. In the rush at the start of the day, I’d left my run bottle in my bag which was now lying under a tree. 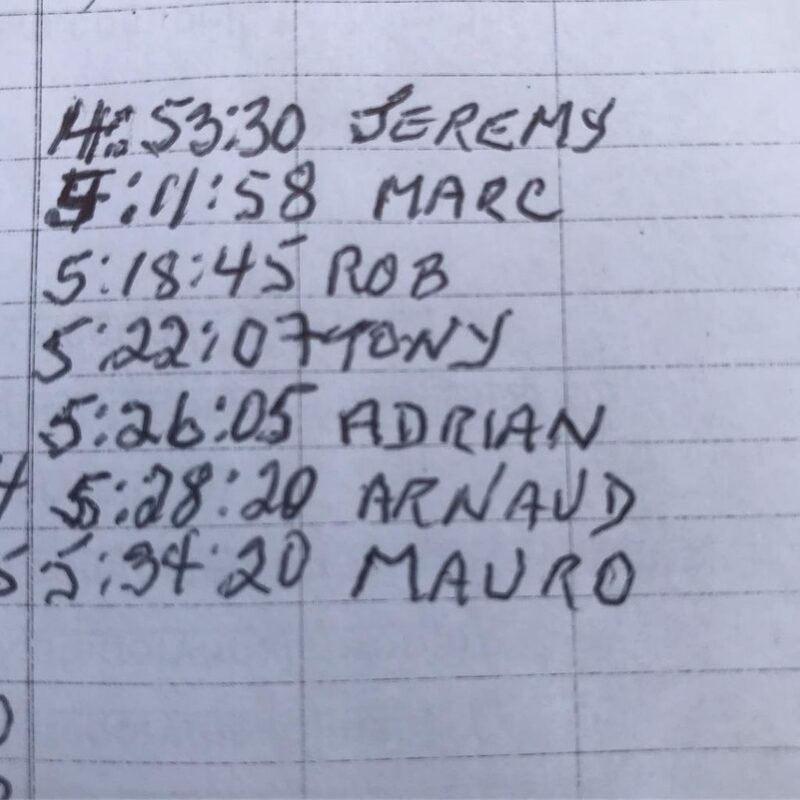 It was pretty close to the run course, but I didn’t go and get it, since that would feel a bit like “outside assistance from myself” – plus I knew it would be pretty easy to just get some calories at the aid station. This was where my next mistake came in – I didn’t really take anything except water at the aid stations. It was so hot, that the last thing I felt like was gatorade or coke, so i just stuck to ice and water. Considering I advise many athletes on fueling strategies for racing, this was both ironic and not-very-smart. Due to the heat I was walking all the aid stations anyway, so it would have been easy to get some more calories down if I’d had the presence of mind to do so. The run went ok for the first few miles, then the heat just beat me down. It felt like my heart was over-beating (like palpitations), and it just didn’t feel like it would be healthy to push the pace. The last time I felt like this was Kona 2015, which was about the same temperature. My extra layer of high tech “bioprene” wasn’t exactly helping either. For those interested in acquiring bioprene, the method is very simple: just consume 1000 calories more than you need every day, and you will stack it on! 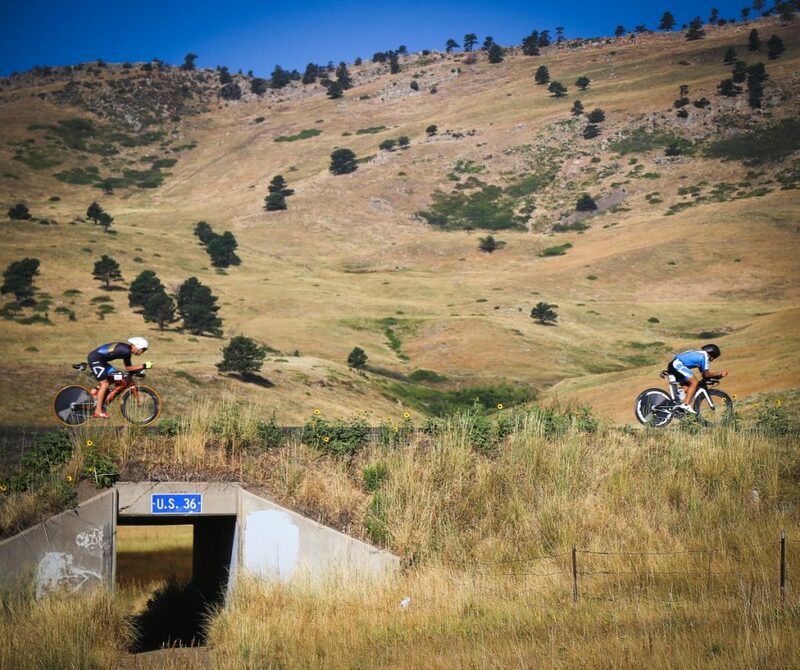 The Boulder 70.3 run course is 2 laps around the reservoir. There is zero shade, and a variety of surfaces – spongy grass, undulating dirt, and a bit of pavement. To be honest, it’s not the most fun run course. On lap 1 I averaged 7:42 / mile, but as I started lap 2 I really didn’t feel great. So on lap 2 I degraded to 8:48 / mile, which is basically my ultraman pace! It’s funny how your body just reverts to a certain pace when things get really bad. Even though my run pace was slow, it felt like I had given everything I had on the day, which is all you can ask for really. The best thing about this bad run experience is that it’s a good kick in the pants to get me back on track before Ironman Boulder. 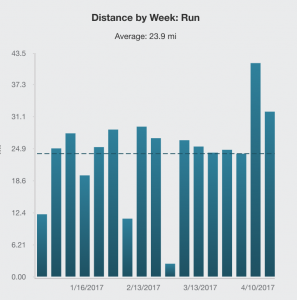 The 2 main things I need to do: a) get my weekly run miles up to 50-60 miles per week and b) go on a bioprene elimination mission. To be competitive at Boulder Ironman, I’ll need to drop to about 72kg (I’m currently 78kg). That is also what I need to weigh in order to survive the run at Ultraman Hawaii in November, so getting there by August will be a good start… I’ll aim to gain 1-2kg after Boulder, but then lose it again after I complete my final big UM training block. 3. Don’t be fat for a hot race!